(Natural News) Despite all the warnings about probable health and social risks, smoking is still a highly popular activity among individuals, whether they are civilians or members of the military. Smoking is so prevalent, in fact, that it can affect people while they are enlisted even though it’s not allowed anymore; some of its effects are long-term and can persist for many months after an individual stops smoking. A study that looks at previous research now sheds some light on how exactly smoking affects one of the most important aspects of military training: physical fitness. To be more specific, researchers have discovered that injuries are much more common in soldiers and military personnel who smoke compared with those who don’t. It is said that the more they smoke, the higher the added risk of “overuse musculoskeletal injuries.” Smoking here is something that is considered a preventable risk factor, so in the eyes of the researchers, that’s one more reason to quit. 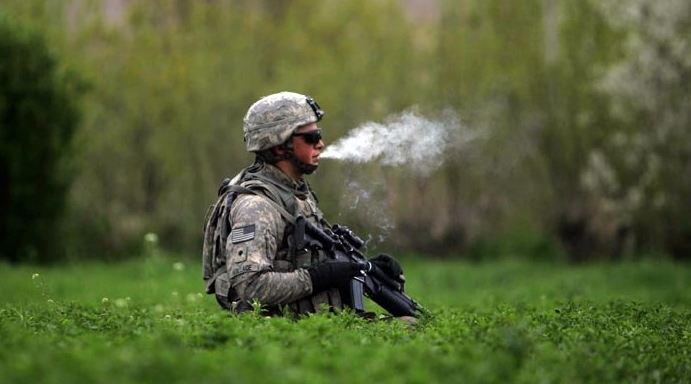 The study notes that the rate of smoking in the U.S. military is higher, at about 35 percent than the rate of smoking for U.S. civilians, at only about 19 percent. At the same time, bone and muscle injuries were also more common in the military. This is according to Dr. Sheryl Bedno of the Womack Army Medical Center in Fort Bragg, the lead author of the study. In an email interview with Reuters Health, Bedno states: “We suspected that smoking was associated with injury, but the findings from the research were not consistent.” She further noted that smoking could cause decreases in bone density and also slows down wound healing. She led her team to perform a “literature search” on older articles published through October 2016 to gather more info for their research. The team of researchers reviewed a total of 18 studies on the topic of military training injuries, which involved hip fractures, stress fractures, knee pain or injuries in the lower extremity and tobacco use. What they found was that 31 percent of all male soldiers who smoked were more likely to get injured than those who didn’t smoke. It’s a similar but slightly different story for women, as the ones who smoked suffered extra injury risks that were a bit lower at only 23 percent. Smoking has this effect on individuals mainly because it causes reduced oxygen in muscles and also decreases bone strength, leading to delayed healing. The data of the researchers also made a differentiation between light smokers and heavy smokers and compared both groups to those who didn’t smoke at all. The researchers found that light smokers had a 26 percent higher chance of injury, while the heaviest smokers had an 84 percent higher chance of injury. Along with smoking, other factors are involved in the increase in injury risk among individuals. According to Edgar Vieira, an independent injury researcher from the Florida International University in Miami, certain people may have certain characteristics that specifically apply to their situations. Read more about smoking cessation at StopSmoking.news.